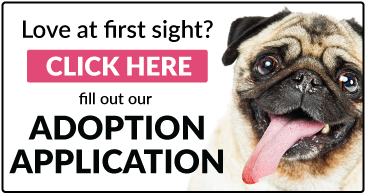 If you live in southern Ontario and would like to apply to adopt one of our available dogs please Fill out an Application Here. We strive to find the best possible homes for the dogs that come into our rescue. To ensure that adoptions are happy and successful for both the dogs and their new families, we ask for your cooperation in providing us with all of the information that we need during the adoption application process. Please make sure that you complete the application form IN FULL as incomplete submissions will not be processed. Step 1: Complete our online application form in full. Don’t forget to CONTACT YOUR VET to advise him/her to expect a phone call from a member of our organization and authorize the vet to speak to us regarding the care of your current or past pets. After you have completed our online application form your application will be reviewed by our Adoptions Coordinator. The Adoptions Coordinator will take into consideration all of the information that you provide in the application as well as the personality and needs of the dog that you apply for to determine if you are the best match for that particular dog. If you are deemed to be a good fit, we will then contact your personal and vet references. At this time we will contact you to update you on the status of your application. Please be aware that completing an application form does not guarantee approval to adopt a dog from our organization. When we rescue a dog we feel that it is our responsibility to both the dog and the potential adopter to make the best possible match/placement. 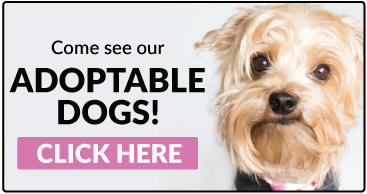 As a result, Pomeranian and Small Breed Rescue reserves the right to refuse adoption of a dog to anyone who we believe cannot or will not provide an appropriate environment for the dog. Step 2: Home visit evaluation. Upon approval of your application and reference verification a volunteer will contact you to arrange a convenient time for a home visit. We require that all members of your household MUST be present during the home visit. The volunteer will check your house and yard for any safety concerns and discuss any questions that you may have about adopting a rescue dog as well as the specific requirements of the dog that you have applied for. We only adopt to homes in southern Ontario within the area specified on the map above (approximately 3 hours drive from Hamilton). As a home visit is an integral part of our adoption process we are unable to adopt to homes outside of this area. Step 3: Meet the dog. Once the home visit has been completed and approved you will be provided with the name and phone number of the dog’s current foster parent so that you may contact them to discuss the dog’s personality and make arrangements to meet the dog. Our dogs live in foster homes scattered throughout Southern Ontario. You must be willing to drive to anywhere within a 3 hour radius of Hamilton to meet the dog. If the foster parent feels that you and the dog are a good match, and comfortable with each other, you will be provided with a copy of the Pomeranian and Small Breed Rescue Adoption Contract to sign. Upon signing the contract, payment of the adoption fee will be taken. You and your new best friend may then go home to begin your new lives together. Congratulations! Please Note: You will be contacted only if your application is selected to move forward in the process for the dog you have specified. Please monitor our Petfinder site for adoption updates. Unfortunately, we do not have available volunteers to maintain a wishlist, so if another dog we have listed is of interest to you, please email psbrescue@yahoo.ca to have your application updated. Pomeranian and Small Breed Rescue charges an adoption fee based on the age and health of the dog. The adoption fee is listed as part of each dog's profile. All of the adoption fees go directly to the veterinary care of our dogs. We are a non-profit organization staffed entirely by volunteers - there are no paid organization members. Depending on the dog and its condition, medical costs can often be excessive. Many times, adoption fees alone do not cover the costs. We rely on donations and adoption fees paid for dogs without major medical issues to help cover the cost of vetting bills. We do offer a tax-deducible receipt for any donations made above the normal adoption fee. Are the dogs vetted before being adopted? Many of the dogs we bring into rescue are in need of medical attention. Such vetting may include dental work, ear infection treatment, blood tests, surgeries, etc. Why don’t you adopt out to homes with children under 12 years old? Due to the high number of dogs surrendered because of young children in the home, PSBR will not adopt a dog under 10lbs to a family with young children 12 yrs or under. For dogs over 10 lbs, the dog's temperament is considered, along with the applicant family's ability to correctly handle a small dog. What if I adopt a dog but, after bringing him or her home, I realize that the dog that I adopted is not a good fit for my home and family? The dog may be returned at anytime within the first two weeks for a refund of the adoption fee, minus a $100 admin fee - we consider this a donation and will give you an income tax receipt for it.